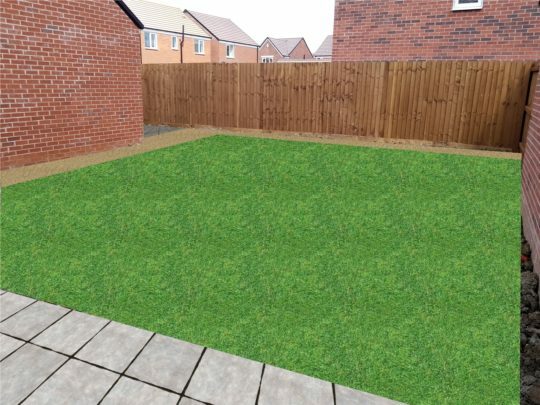 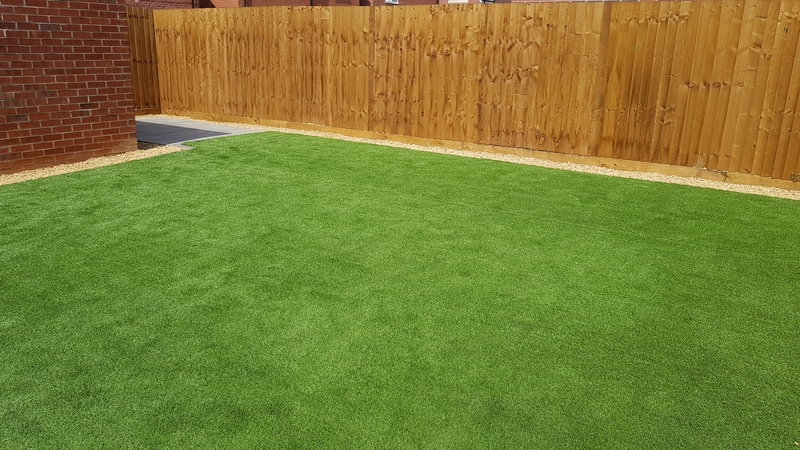 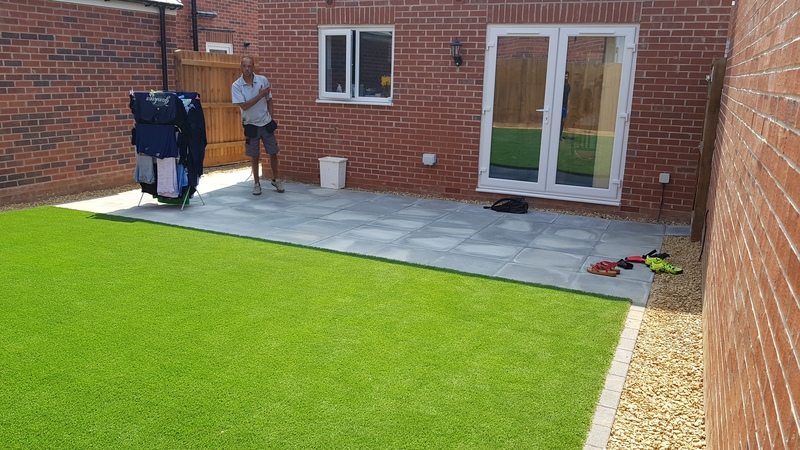 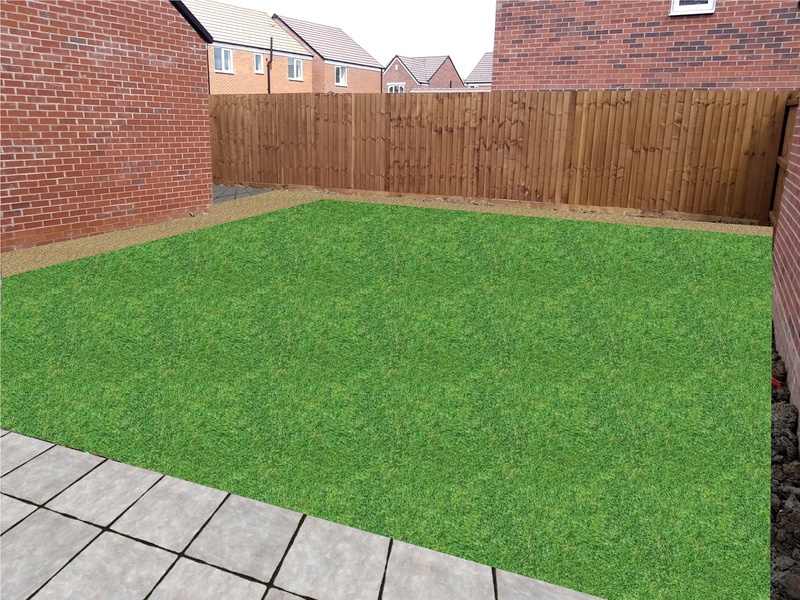 Our customers in Hampton Gardens had a new build property and contacted us for advice on extending their small pathway in rear garden to a patio and to install artificial turf and create a small bbq area. 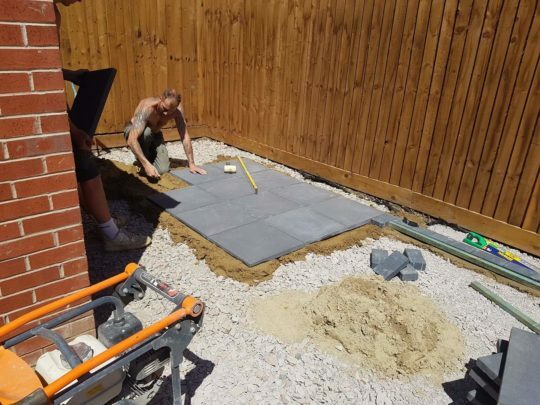 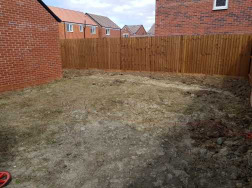 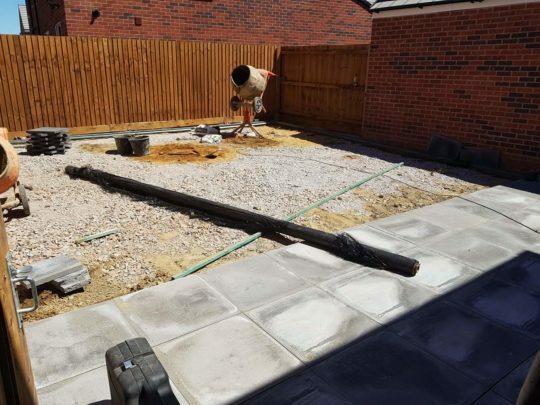 Matching slabs to the pathway were sourced and another 3 rows of slabs laid to create a larger patio area that could be utilised for garden furniture. Artificial turf was installed at 36sqm and a small slab area installed in an anthracite coloured slab for a BBQ area which would disguise any fat spillage better than the lighter slabs used for the main patio area. 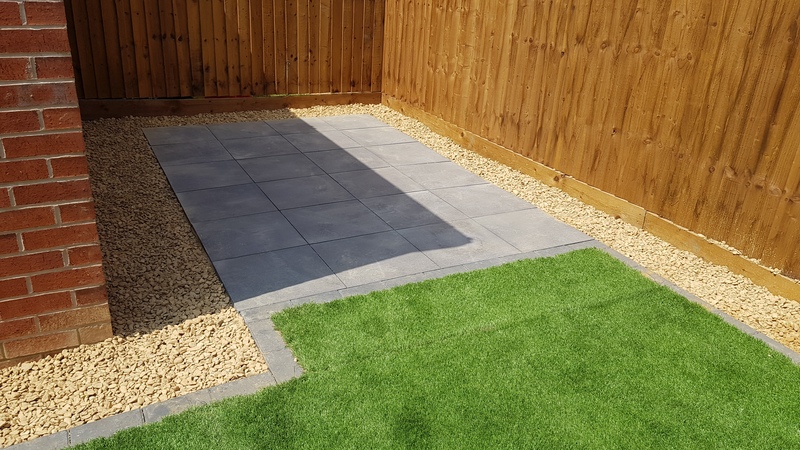 The entire install was then complimented with a charcoal block edging with a small gravel trap of around a foot left surrounding the install.